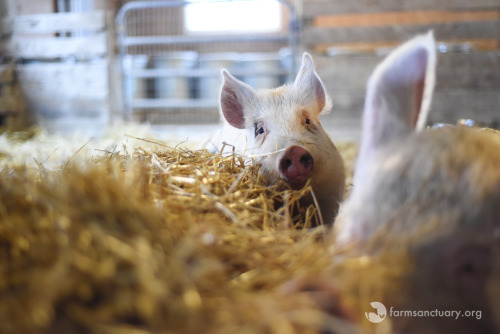 One thing we see time and again when we rescue pigs — especially those who’ve come from factory farms or been forced to live in pens consisting only of mud or in concrete-floored barns — is that bedding is what they seem to enjoy and want the most. Hello!!!!!! Bedding is fun! Andy loves his bed! Joan and pals bedded down! 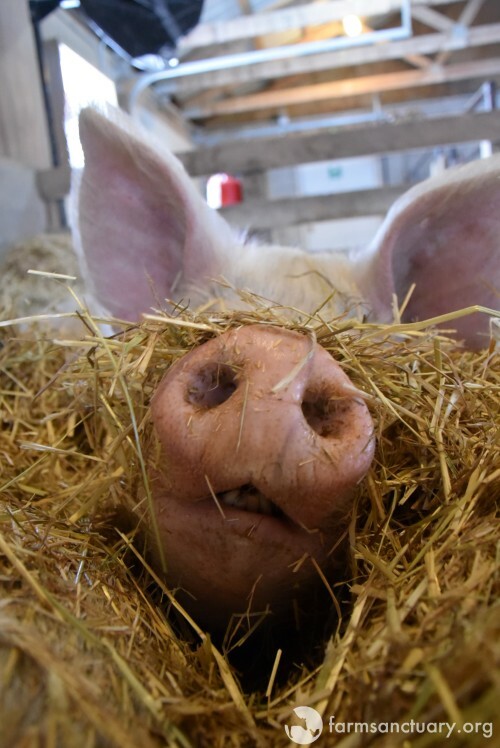 Honey snuggled in the straw. 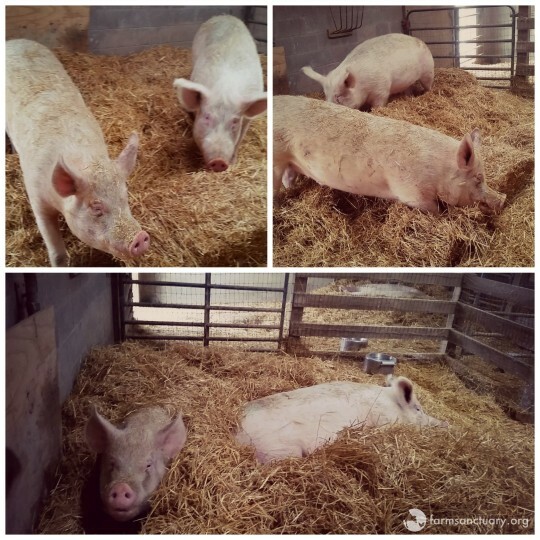 Ben David piglet bedded down next to Honey, his adoptive mom. Noah and Portia hate to be disturbed when napping! Now, I love to sleep, and nothing feels better than sleeping in soft, comfortable bedding. 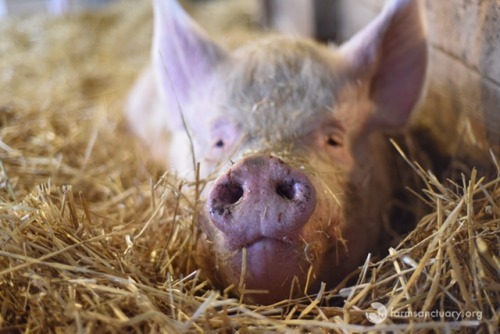 Sleep needs to feel safe, secure, warm, and snuggly — and no one appreciates this more than a pig. The family that nests together stays together. 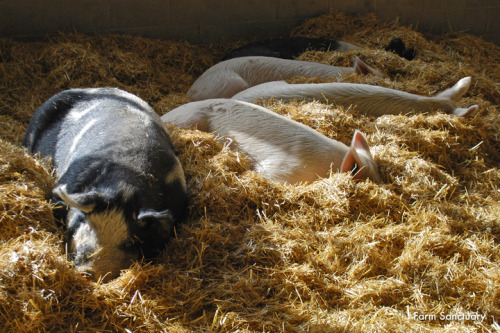 So today’s walk around the farm is all about pigs and going to bed! 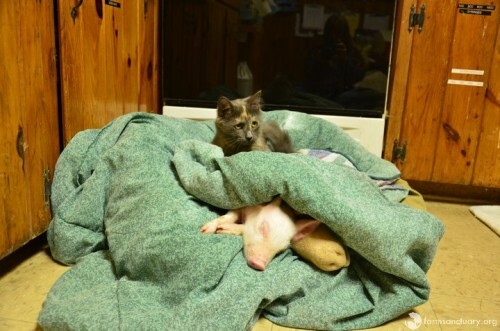 We will watch as our rescue-barn resident pigs make their beds and get ready to sleep. With the snow falling down right now and temperatures dropping into the teens, nothing says comfort like a warm, soft bed! 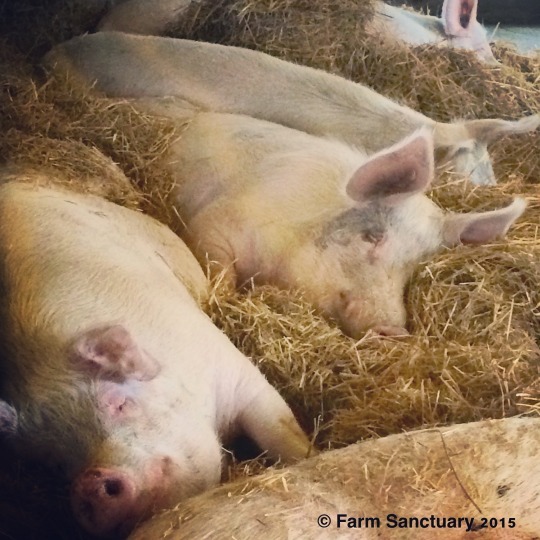 So sit back and watch some of our pigs get comfy — and I hope you all have an equally comfortable and happy sleep! 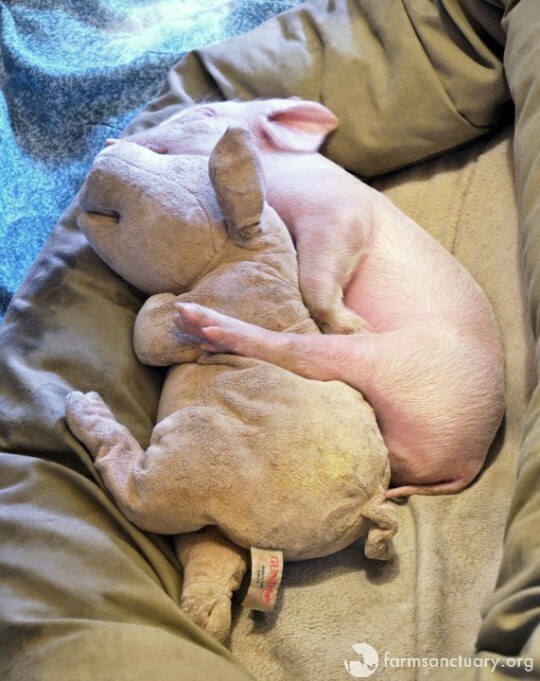 Eric started out snuggling on a stuffed pig, and now he does the same with his real friend Bob and in snuggly straw! Bob and Eric now — Bob is the live version of the Gund pig above!